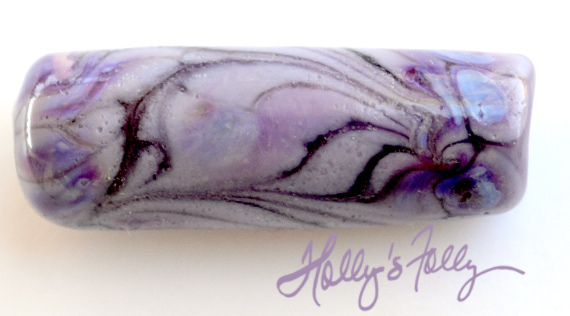 Purple Passion – Long skinny focal. This photo is taken in sunlight and has NO color correction at all! 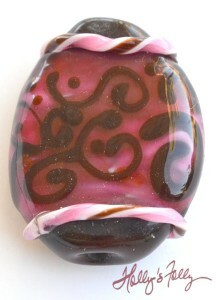 Bead is darker in natural light but still stunning! 67 mm x 11 $18. 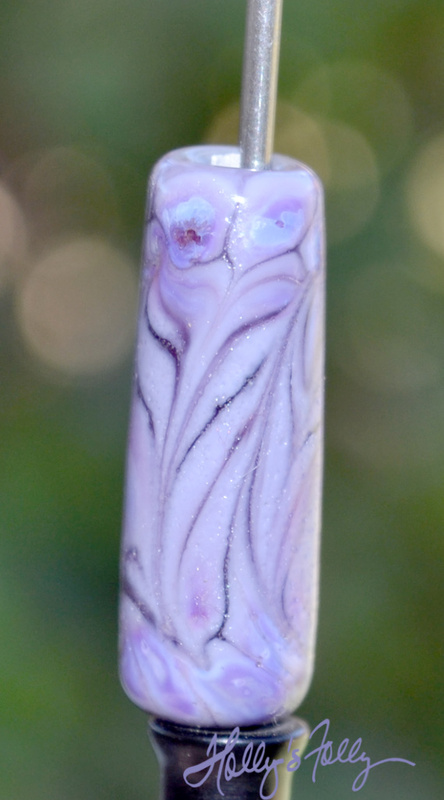 Regal – MINI FOCAL glass bead made from a lavender purple base and swirled with silver rich purple glasses 28mm x 9 mm $8. 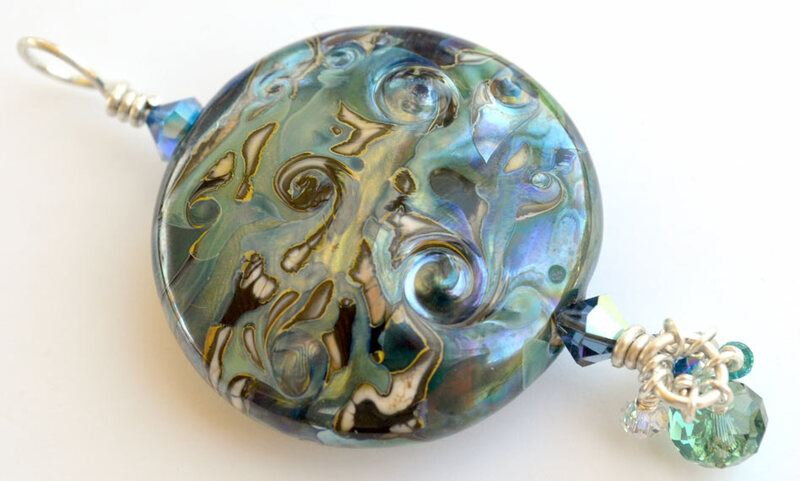 I LOVE LOVE LOVE this glass… it’s Mood glass…changing color depending on the light! As luck would have it, Swarovski makes crystals with the SAME properties! 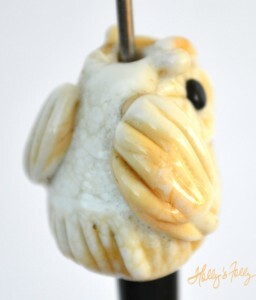 Offering these as made to order for a bit… Please allow one week for processing. 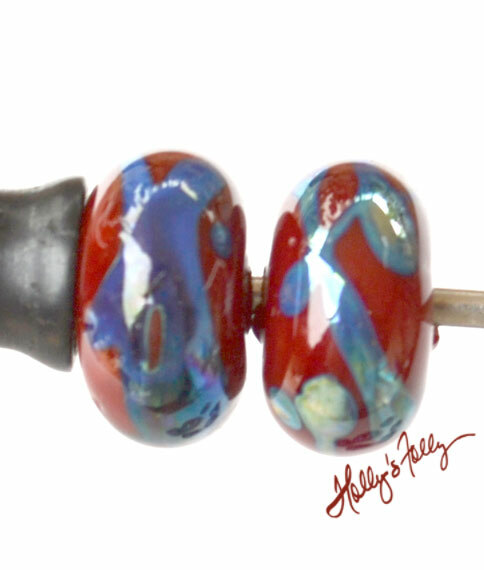 Lovely glass bead pair in sizzling hot red with metallic blue accents! Perfect for earrings! $8. 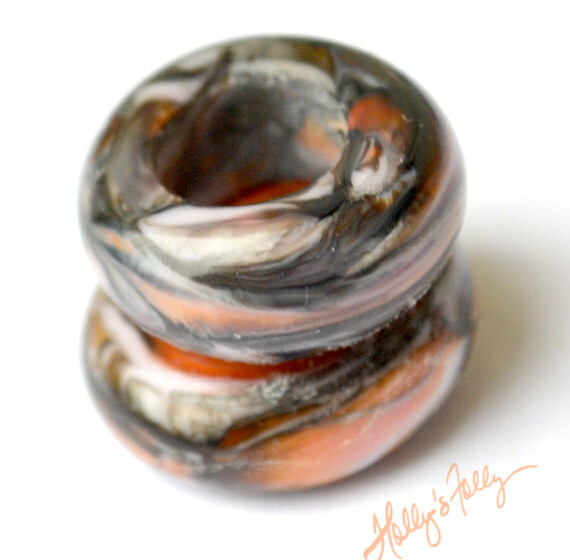 I make jewelry! If you need me to turn these into earrings for you, just ask! 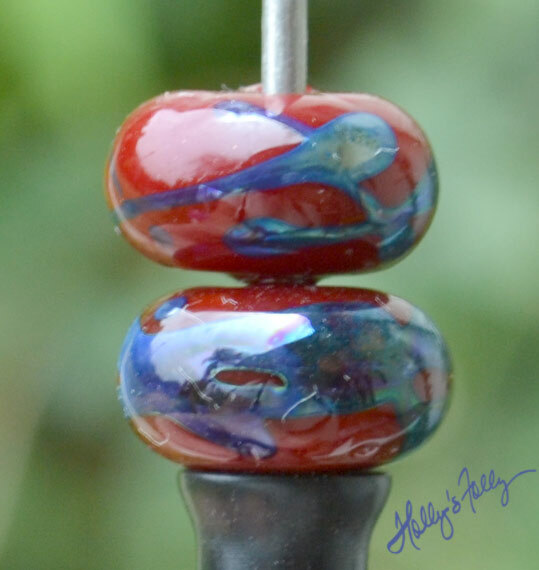 This set of Rio Party color beads is now MADE TO ORDER. A color reaction between a rare, no-longer-made glass and two more common highly reactive glasses. There is no predicting how the colors will develop but a riot is pretty much guaranteed! You will find baby blue, purple, lavender, burnt orange, golden yellow and teal in these. I still have a few vials of the precious glass left but when it’s gone… The party will be over! The five bead set is a smidge under 3″ long. 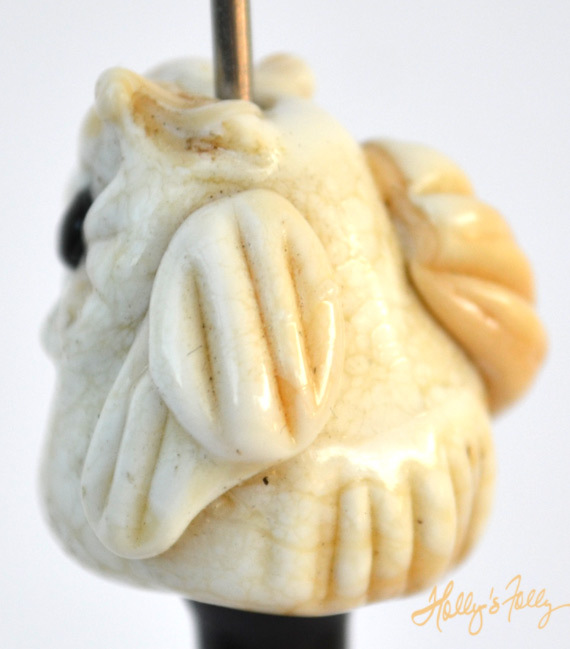 The smaller pair are about 3/8″ and the larger three are around a 1/2″. $27.50 As always you will receive a photo of your actual beads before mailing! As I mentioned… I was in a mood and made some of the smallest glass beads of my career. These are perfect for a bracelet! 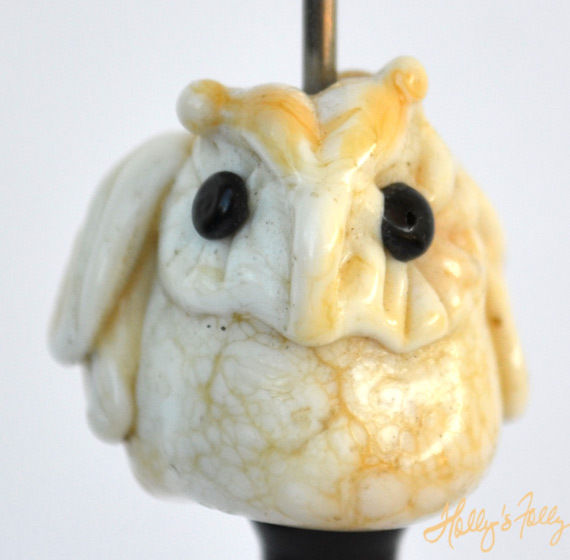 The colors range from brown to gray depending on the light…with lovely pops of peach. 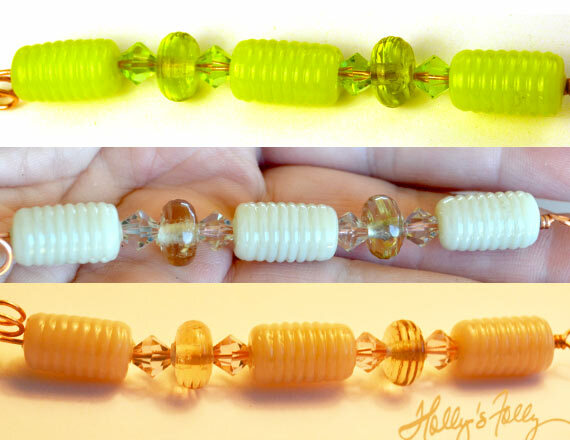 This five bead strand measures one inch long! $4.00. 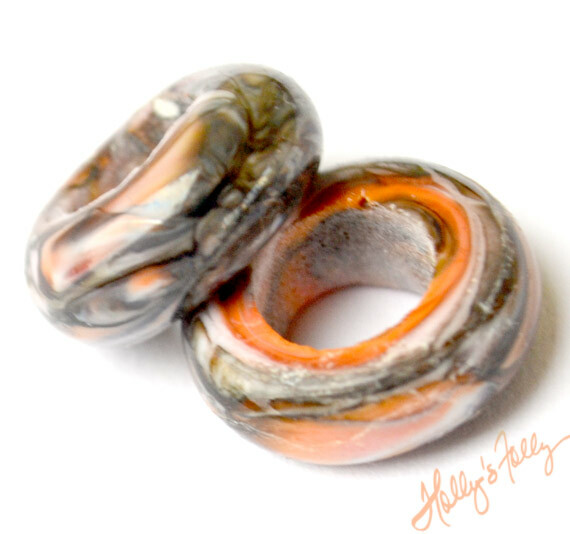 Please see the matching big hole bead listing if you like these colors!